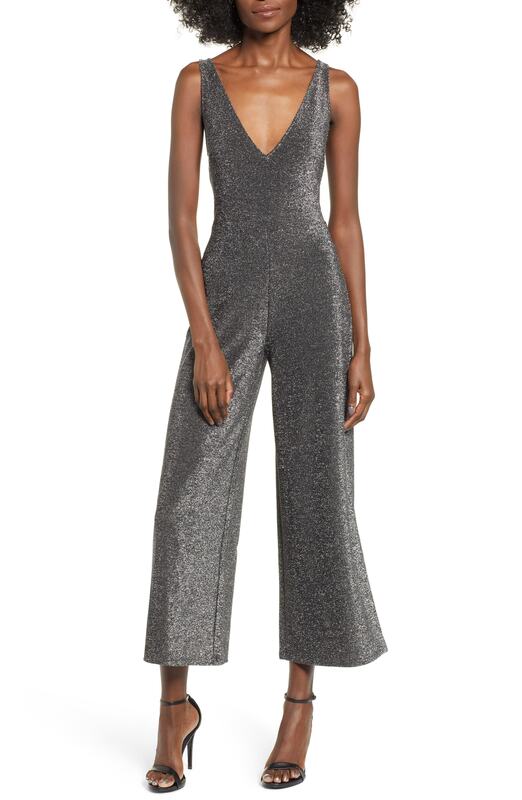 Look absolutely stylish yet casual in a Leith Night Out Metallic Jumpsuit from Nordstrom. Display your classy side by rounding off with a pair of black satin pumps. Consider wearing a silver jumpsuit for an effortless kind of polish. Add an air of class to this look by sporting black satin pumps.